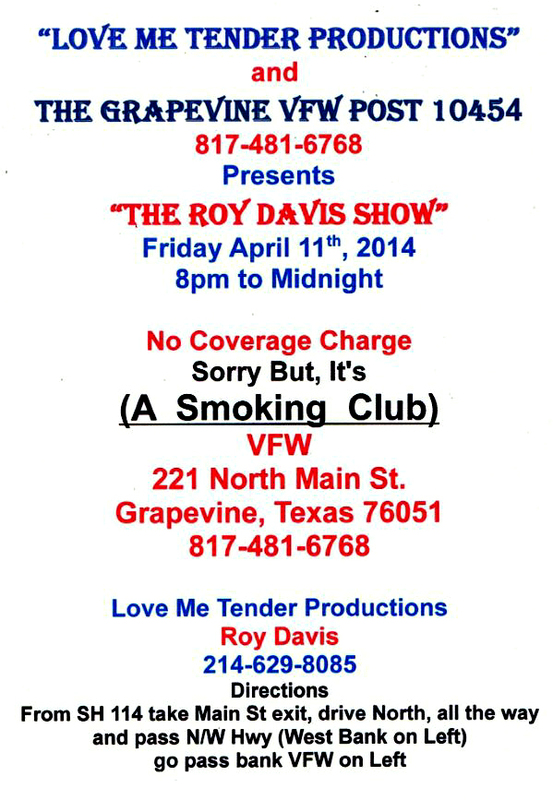 The event will be held on April 11th, 2014 at the Grapevine VFW Post 10454 in Grapevine, TX. Setting the mood Vegas Style, Crooner Roy Davis does a Tribute to the Vegas Stars. Covering Dean Martin, Tom Jones, Neil Diamond, Tony Bennett, Elvis and much more!